As both counterpoise and catalyst, a young idealistic actor arrives into the lives of two old farmers. He is part of a theatrical group that is creating a piece of theater based on the lives of the people in this rural community. 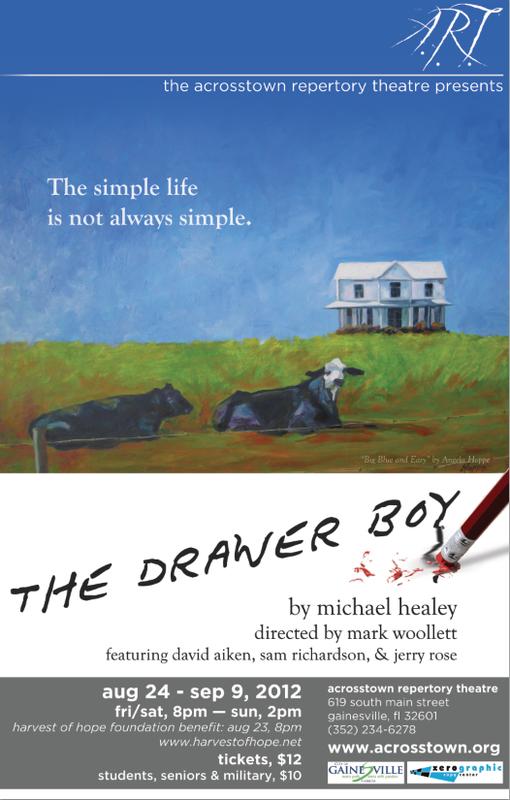 This “farm play” turns out to be much more powerful, however, than any of them could have imagined and the desperate lives of those two farmers are poignantly and permanently transformed. 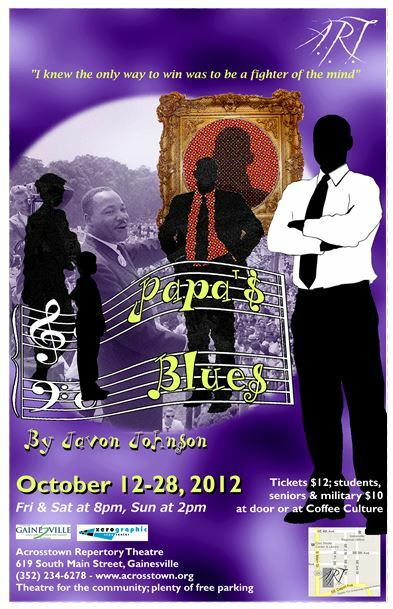 An African-American drama about a grandfather who lost his life during the civil rights protest era and whose descendants are struggling with reconciling continued involvement in that movement with the demands of their own personal domestic situations. 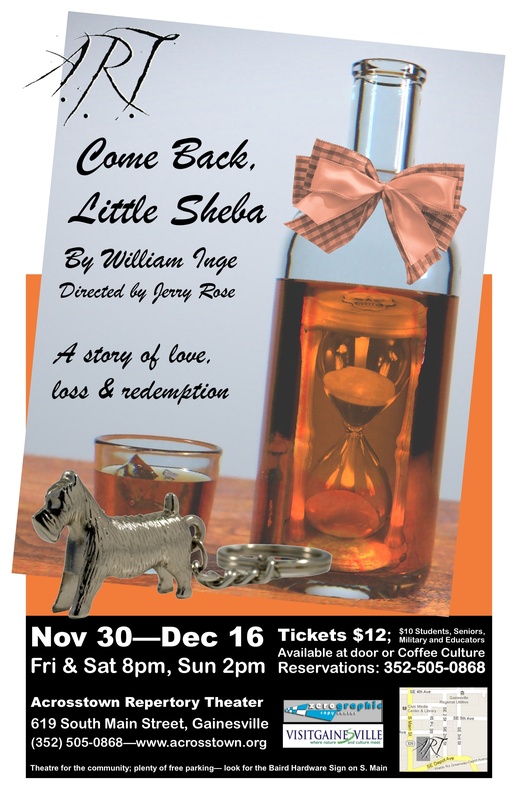 An 8-person drama featuring an alcoholic doctor and his wife, both of whom are fascinated with the sexuality of their young boarder and her boyfriends and lament the lost days of the own youth, as symbolized by a lost dog. A comedy in which two young men who publish a radical newspaper encounter and fall madly and ridiculously in love with a flag-waving super-patriot Olympic swimmer who moves next door to them. 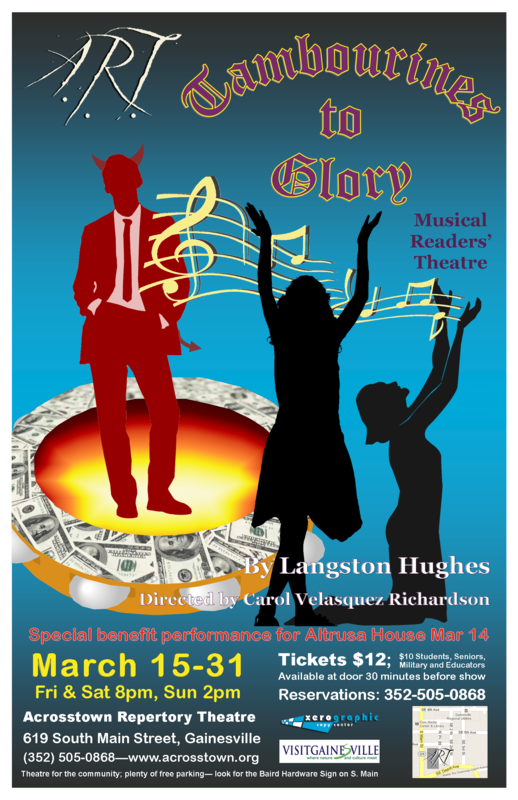 An African-American gospel musical, as two poverty-stricken women form a “church” to provide income for themselves and are aided by a “devil” who supplies them with dubious money-making schemes. A high school teacher in Wichita KS accidentally “outs” himself as gay while discussing the Holocaust with his class, setting off a tumultuous round of homophobia in this hub of fundamentalism, as the teacher and his partner and other associates vacillate between fighting to retain his job or acquiescence in his dismissal. 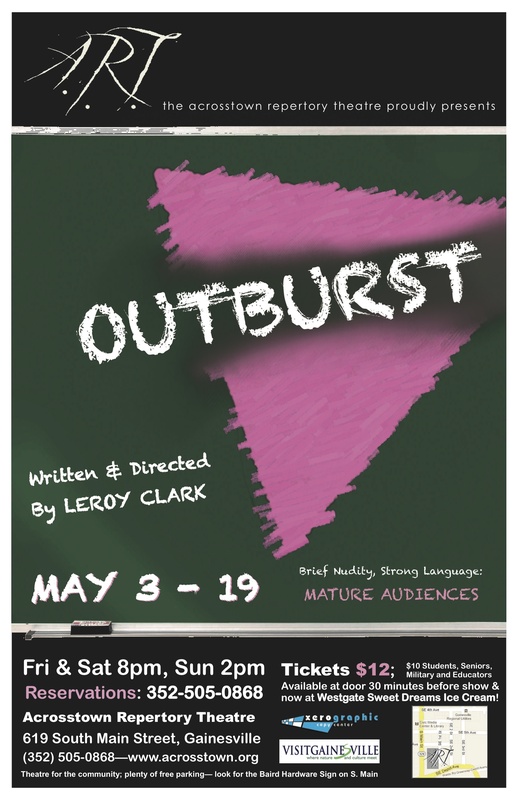 The play explores what happens after the “Outburst.” While the issues and the story are based on the real incident, the dialogue, plot and characters are from the author’s creative imagination. Directed by the author, the play starred Tom Miller in the Rodney Wilson role (A.K.A. Nick). His partner David wass played by Darren Willis. Their neighbor and best friend, the arts critic by profession and the extravagant drag queen for fun, Danny Banner was played by Felipe Echeverri. Xanna Prentice played his friend and fellow teacher Flonny. Chuck Lipsig is her beau and Nick’s lawyer. Sally Kimberly rounds out the cast as Mrs. Richards, the high school principal. The production was managed by Rachel Wayne. A comedy/farce in which a perfection-obsessed professor strives to stage an ultimately lavish party with “all segments of American society” represented and a woman reporter from a “major New York newspaper” promises to write the “perfect review” but only if the party-giver will make it newsworthy by providing some “danger” therein. The professor complies. Gurney’s work– as demonstrated in such plays as The Dining Room, Love Letters and Sylvia– tends to gently and humorously satire the lives and manners of upwardly mobile Americans. 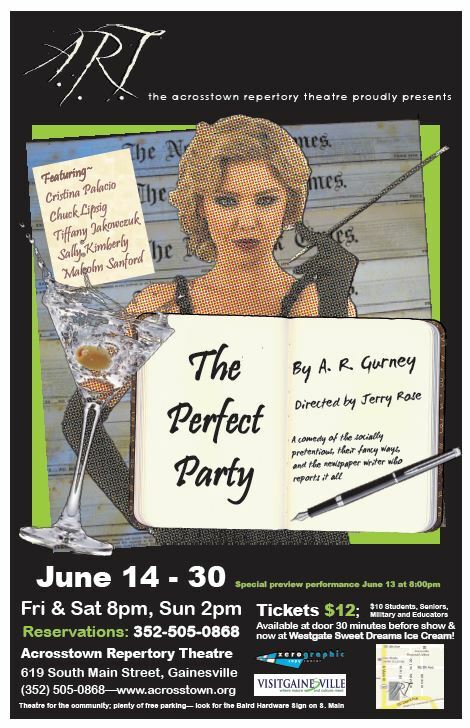 Jerry Rose, who has directed all three of these plays (and also performed in Love Letters), brings this hilarious story of a college English teacher, obsessed with throwing the “perfect party,” to life. This perfectionist teacher intends to capture all walks of American life at his party in a grand gesture of social unity. Another perfection-seeker, the entertainment editor of a New York City newspaper, comes to “review” the party. When the party-giver strains to provide her enough “danger” at the event to ensure that she will write the perfect review of his perfect party, the madcap action and mayhem cannot be contained. 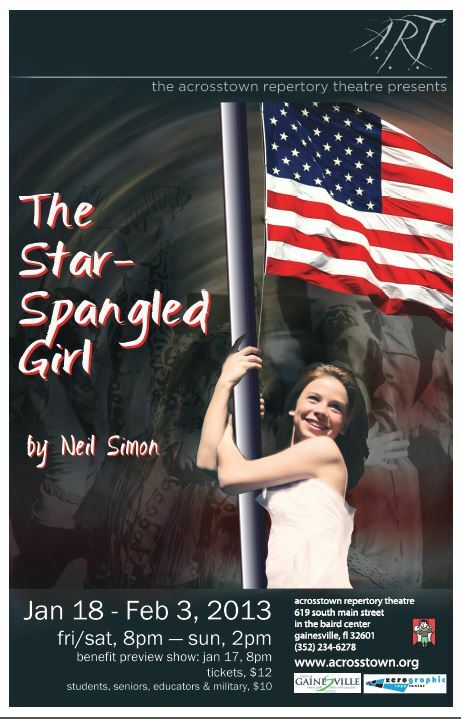 Performed by talented local actors Chuck Lipsig, Cris Palacio, Tiffany Jakowczuk, Malcolm Sanford, Sally Kimberly, and Rachel Wayne.